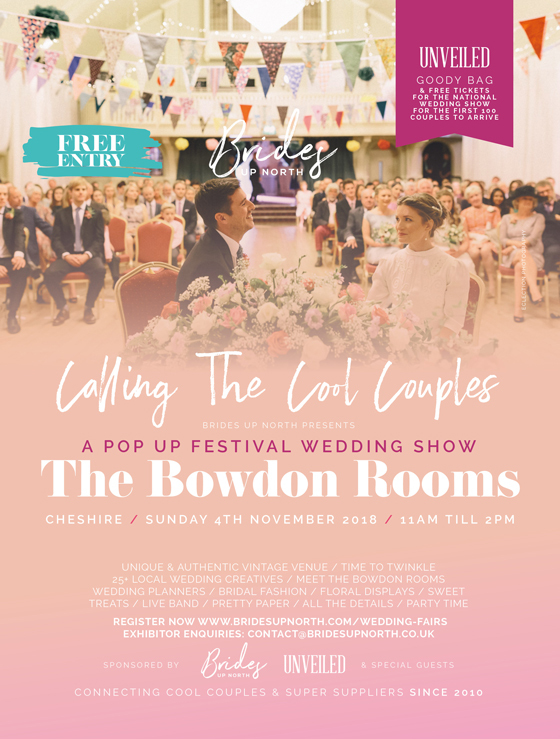 The finest North West wedding industry talent will be descending upon The Bowdon Rooms, Altrincham, for our annual Pop Up Festival Wedding Show at this unique & authentic vintage venue on SUNDAY 4th November 2018, 11am till 2pm, FREE ENTRY! 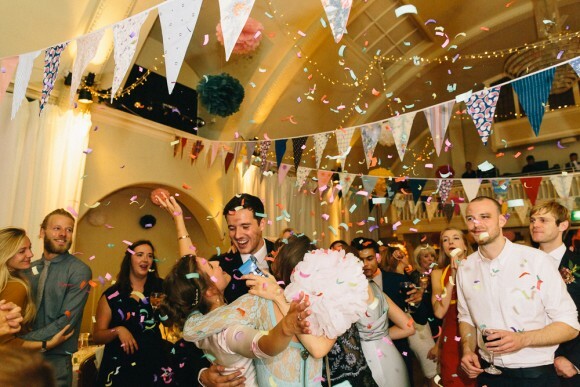 This brilliant, exclusive use venue is as fun as it is special, with it’s high ceilings, sparkling drapes, ornate fireplaces and perfectly sprung dance floor. Dancing shoes at the ready! If you are looking for a bespoke and private wedding venue with a little added pizazz, it’s your lucky day. We’ve added the very best floral designers, bridal boutiques, stationers, venue stylists, photographers, cakes, diamonds (and more!) that the area has to offer – plus a festival styling twist and lots of rocking live music – to make sure that every detail of your big day is covered with individual style. We’re giving away up to 150 free Bride To Be media packs, filled with glossy magazines (including the brand new issue of UNVEILED Magazine) and treats from Brides Up North. As demand is high, to pick up your media pack all you need to do is register. We would love to welcome new exhibitors to the Brides Up North family in 2018/19. We are now accepting exhibitor bookings for all of our fabulous luxury wedding exhibitions across three regions this year. In the meantime, we’re handing over the blog to director of The Bowdon Rooms, Neil Hughes, to tell us more about this spectacular space. 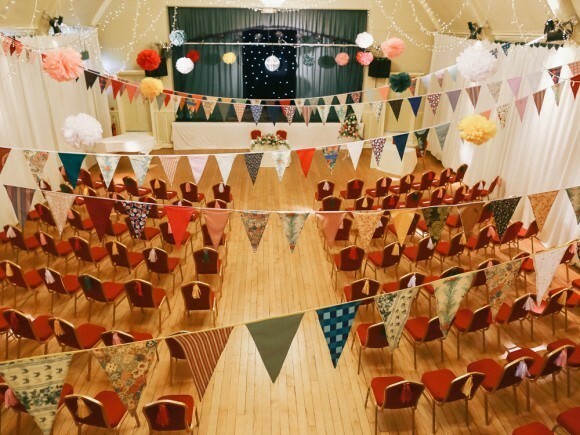 Can you tell us about the style and history of the venue? neil says: Our luxury wedding venue in Cheshire is a charming building that offers an abundance of authentic character and beautiful features. More than 110 years old, the property’s Edwardian decadence will offer you and your guests a superior environment. Amid subtle yet exquisite details of art nouveau charm, you can relax and dine in our glorious ballroom, with its stunning chandeliers suspended from a 40-foot domed ceiling, against a backdrop of romantically-lit voiles. What types of couples does the venue appeal to? 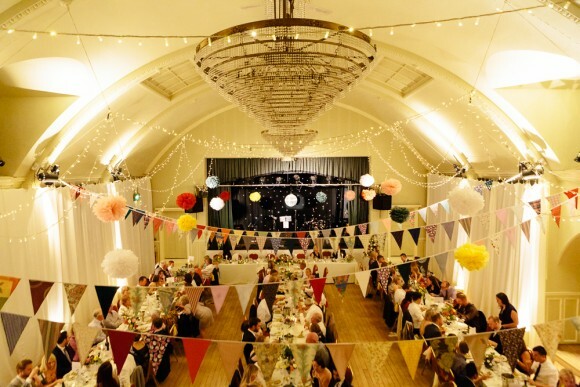 The Bowdon Rooms is definitely suited to couples who would like an authentic vintage venue, that is what we are. We have over 100 years of unspoilt architecture and features. And because we also host live music, we attract couples who wish to party, with fantastic live bands playing on our stage at most functions. We have a full sound and light system, in house engineers and event managers you can trust. Plus, a late licence until 1am. Can you tell us about its reception rooms? The ballroom – Our beautiful spacious ballroom seats up to 230 guests and offers a stage large enough for an 18-piece swing band. With a fully-integrated lighting system and an experienced team to help create your ideal theme, we have everything to inspire and deliver – all under one roof. It is a period ballroom with chandeliers and has a fully-sprung maple dance floor to really get the party in full swing. The lounge – Our other reception room is located on the first floor and offers a more intimate environment. An air-conditioned jazz lounge at the top of the building. It accommodates up to 90 guests and is perfect for wedding reception drinks or civil ceremonies. It can either be set as a 1940’s speakeasy, or a modern voile lit lounge. What would you say are the unique and special features of The Bowdon Rooms? We were built in 1905, so we do really have an abundance of period features; from sprung dance floor to fireplaces, to those hard to describe nooks and crannies – but they all ooze charm. We have two huge chandeliers that tower above the ballroom adding a touch of elegance. How can couples really make the space their own? We love having couples help design their own special day, so just ask about anything at all. Couples can choose their own colour scheme as we can completely dress the room in their fabric of choice, and they can also work on table decorations, favours, table layouts – in fact nearly every aspect of the wedding. We also have plenty of couples who provide their own band. Tell us about the food and drink options available? We do all of the catering with our team of award-winning chefs. They have worked around the world and provide every type of food; from an informal Mediterranean risotto to a formal four-course meal. If couples want to go away from standard menus and personalise their choices, that’s fine, they can come in, meet with chefs and have a menu tasting. How do the venue’s staff assist couples in planning their big day? 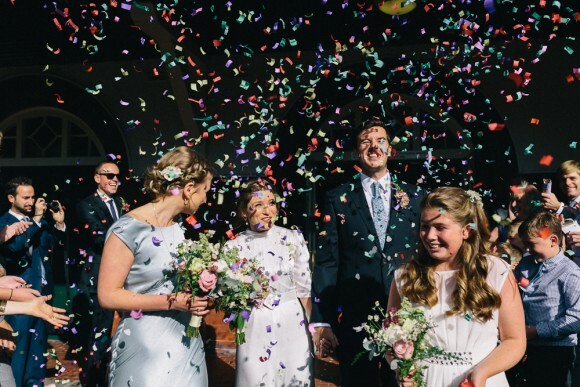 Every bride and groom are assigned their own wedding event manager. Karen has worked here for more than ten years, and Suzanne for more than six, so couples can rest assured that our team has a huge amount of experience. 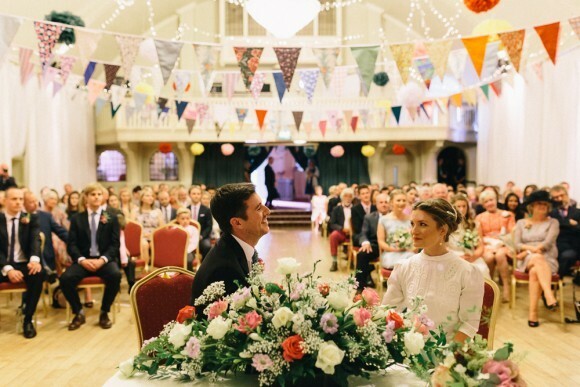 What is the feedback like from couples who have married at The Bowdon Rooms? Most couples love our flexibility; we are not a hotel with fixed packages. So, clients can really get involved, helping with table design, centre pieces and venue set-up. Quite often we have a team of ushers and bridesmaids in helping out, it makes for a very relaxing wedding party. What sets the venue apart from others? The major wow factor is the period ballroom – there just aren’t many left – the ceiling is 40 feet high, complete with grand chandeliers. 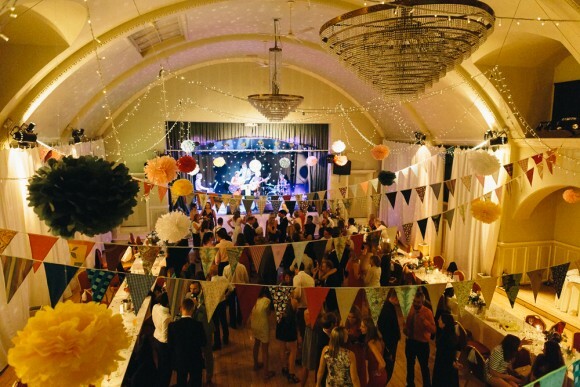 The venue is ideal for brides who love vintage, festival or sophisticated settings, and we can dress the room so elegantly. We also make sure wedding planners are here on the day, so the continuity is assured. Our lounge, which is where we hold our smaller weddings, has been completely refurbished and curtained. So, we have another beautiful space to hold civil ceremonies in.